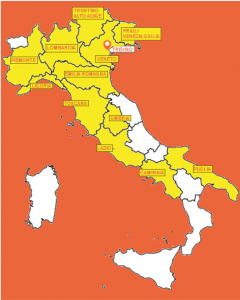 Regional Sections are the heart of the association and provide a continuous link with the Italian local reality. The currently active Regional Sections and their coordinators are listed below. Do not hesitate to contact them for events or projects with regional impact.